Cyber Crime: Are You Reporting Attacks on Your Business? While statistics show that cybercrime is on the rise, they also show that few people are reporting it. According to the latest reports, cybercrime is up 63%. And while fraud and computer misuse have decreased, incidents involving malware are definitely on the rise. While these statistics show some of the problems encountered by businesses, it is still unknown how it is really impacting as not all those are falling victim to these crimes are reporting the incidents. The main reason for this seems to point to misconceptions about what reporting these crimes, according to Mike Hulett, head of operations for the National Cyber Crime Unit (NCCU) which leads the UK law enforcement’s response to cybercrime at the National Crime Agency (NCA). Whether it is due to lack of faith in how the agency can actually help on a law enforcement level, the failure to see the benefits of reporting, the worry that the incident is too small for police to care, the admission that your cyber defences have failed, or the concerns of investigations that could hamper business operations or worse shut it down. Reporting such crimes can be beneficial to not only your business but other businesses in the future. With the increase of insurance companies offering cyber insurance, reporting such crimes is beginning to become incentivized, much like most other kinds of crimes. Insurance companies will require a case number. Hulett stresses the need for all businesses to report these crimes, “We want all victims of cybercrime to report. Who you are and what has happened is going to affect the scale and nature of the response, but there is no cut-off in terms of the size of the organisation affected. We want everybody to report, regardless of how large or small the organisation.” No organisation is immune to an attack, from the smallest to the largest, anyone can fall victim. While the new General Data Protection Regulation (GDPR) and the GDPR aligned laws in the UK may make it seem like a complicated process, it is not as difficult as it seems. Hulett explained that lots have been done recently to ensure coordination and communication once a report has been made and that where ever you report the crime, the right authorities will deal with the case. “While there are different law enforcement agencies involved behind the front door, it doesn’t matter which front door you go through, whether that is the UK's national fraud and cybercrime reporting centre Action Fraud, the National Cyber Security Centre or the local police force. Action Fraud is still the main point for reporting cybercrime, but it is now a 24/7 service either through a call centre or an online reporting tool. Hulett also advises that for crimes in action that are reported outside of normal office hours, these cases will be referred to the most appropriate agencies, advising that in these cases the call centre should be used rather than the online reporting tool. As with any other type of criminal activity, you are a victim of a crime and you are entitled to a law enforcement response. “This alone is a good reason to take what help and advice is freely on offer from law enforcement,” Hulett says. Another important reason for reporting cybercrime is that it allows law enforcement agencies to gather more evidence about the type of activity being carried out and to utilise this in other cases. Although it can seem nerve-racking reporting an incident, knowing what will happen once you have reported a cyber attack can make the process easier. Hulett explains the first thing to understand about the process is that everyone will not get an instant response to a report. Law enforcement has to prioritise cases, much like other crimes. Factors like crimes in action, or crimes that meet a certain threshold in terms of attack type, size and the impact of the attack are going to be given top priority and referred to the NCA. Historical and low-level incidents will be referred to the relevant police forces for investigation by themselves. Advice will still be given to those choose not to file an official crime report, Hulett explains, however, a forensic team will not be sent out. By reporting the incident as a crime you also help to improve the official statistics around these types of incidents. Hulett explains the next steps of the process is to gather more information if you have decided to cooperate with law enforcement. This will include information being gathered about key employees and where the firm’s hardware is located so that these can be imaged to capture any available evidence in the least disruptive way. It is important to understand that cybercrime investigators will only image the systems to capture evidence. They will not rebuild affected systems or install new servers. Hulett also eases the concerns around the incident going public, as this can be a concern for reporting a cybercrime. This can also make people hesitant to answer the relevant questions asked by law enforcement surrounding the lack of security controls they may have had in place. While there has been an increase in cybercrime, there are a growing number of companies setting good examples when it comes to acting on attacks and reviewing their security on an ongoing basis according to the NCA. 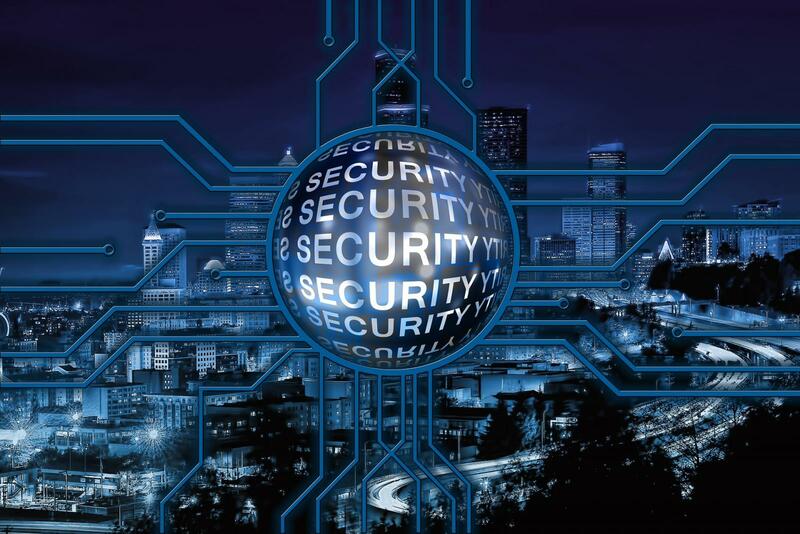 “More organisations are also waking up to the fact that physical security and personnel security are linked to cybersecurity and that there is no point in doing all these things separately,” says Hulett. Cyber insurance is also becoming an interesting aspect of a business, covering the costs of getting systems back up and running following a cyber attack. And with a growing number of cyber attacks being reported in the news, more people are aware of what can happen. This is having a positive effect on companies who are seeing the importance of investing in appropriate cybersecurity. The introduction of GDPR is also having a further effect, as companies have new guidelines to follow regarding customer and clients information. If you are looking for more information on how to back up your system for your business or providing training for your employees surrounding possible attacks, get in touch with us at Xenace today.